Don't forget there's still time to enter to win Bree Despain's The Dark Divine. Really, you just have to leave a comment. Yep. I'm that easy. 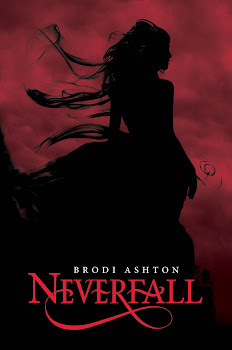 Since our workshop in June, one of us signed with an agent (Kim Reid), one of us had a book come out (Bree Despain), one of us sold a book to Greenwillow* and signed with an agent (Heather Dixon). In fact, the editor and the agent she signed with both came to WIFYR and she met them there. See? Good stuff happens. Anywho, so we had a little reunion of sorts, and Shannon Hale came too and dished about the latest goings-on in the industry, because she really is that cool. I wanted to be cool too, and since I can't do it through my wit or my writing success, I decided to buy a knit headband like all the kids are wearing. And I thought, although that woman looks very hot, I don't think that's how it's supposed to be worn. Finally, I knew I was going to be late to the party, and I had to come up with something because I didn't bother actually doing my hair. So I ended up Googling "how to wear a knit headband". What do you think? Somewhere between Rafa and Bjorn, right? I'm sure that's what every woman aspires to look like: a mix between Rafa and Bjorn. *Leisha Maw asked me why I haven't blogged about blood or other bodily fluids lately. I guess I need to remedy that. *Joel Smith said he doesn't tweet because someone (okay, it was me) kept laughing at his tweets. I said that was a good thing. Watching Doggy Makeovers on the Today Show. Wondering when we switched to the alternate universe where this is news. At marathon writing day, @emilywingsmith said, "Wearing bunny slippers means I want a guy to put the moves on me." Local news anchor just said a rumor was "spreading on the world wide web." She then pegged her pants and said, "talk to the hand". Willard Scott's creeping me out. As in, there's a 50% chance I can find him on Today, and a 50% chance I can find him peeping in my windows. And it got me thinking, WTH am I tweeting about? What was it about Willard Scott that I had to share with the world immediately? Well, really it's the creepy way he talks about the Smucker's birthdays. "Here's Eleanor LaMott, she's 105 years old today. Doesn't she look young? Spry? Hot? I'm gonna get me some of that. She can butter my toast any day. Whoa ho ho. Happy Birthday Eleanor." *Jenilyn Tolley joined my conversation just as I raised my hands up in the air and shouted "Eustacian tubes!" She promptly left. *Bree Despain called me a comment whore. I totally agree, but I'm not sure what it means. Like there's nothing I won't do for comments? Or I pay for comments? Or I get a lot of comments? At least it's a cool title. Brodi Ashton. Comment Whore. *Shannon Hale said it's very easy to make fun of James Dashner, but not as easy to make fun of Brandon Mull because of the dimple in his chin. *Someone said she hasn't gotten very far in a certain book because she only reads it on the toilet. *Okay, that was me. The high point in my conversation-making skills. So, what did y'all do this weekend? Anyone else signed up for WIFYR? You look way cute in the knit headband. 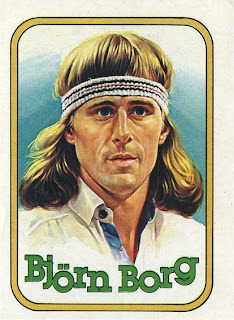 There's a woman at work that wears one and she wears it like Bjorn Borg, but it doesn't look that bad. She makes them herself too. I want to get one, but I'm not sure how I'll look. I want to go to WIFYR, but I can't. School and money are in the way of that one. But, it's okay. I still need to work on my writing a little bit more. Brick, I don't think you should remain silent. Please explain by writing bodice rippers would be exciting and what writing bodice rippers is. Jenni- I always see headbands looking cute on other people, then I try it on myself and it never looks the same. How are your classes going? In case Brick decides to remain silent, bodice rippers are romance novels. Ah, thanks for the clarification. That makes sense and adds to the comedic factor more. I'm trying to talk my hubby into going so he can network with his art skills. I started a community ed writing class with a local author and she said something that struck me. Something about you gotta hang out with other writers because no one else gets you. Perhaps thats why I enjoy following around writers...Haha. Sounds like you had a fun get together! Jenni- Someday you'll look back on that first essay and be amazed at how far you've come. Go girl! Debbie- That's exactly right! I was just telling someone that same thing about the L.A. writing conference: part of the fun is just being around other people who understand the mania. Tarl should definitely go. I found out last night that one of my classmates (Heather Dixon) went to animation school with Tarl. She's the one who just got a book deal! I thought that was a very cool connection. But I think you're daring to even try the knit headband thingy. I'm a total sissy. I wait and wait for a fashion trend to become passe - and THEN I'm ready to get on board. Nothing like good timing. Question: what book are you reading on the toilet? (Could it be the one I gave you!?) Can't be a page-turner if that's the only place you read it. Confession time. 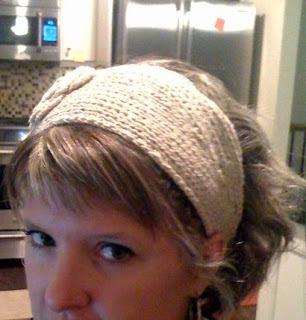 Cath- I think the knit headband thingee is already passe. Otherwise, how would I have known about it? As for the book on the toilet, it's not the one you lent me. I'll tell you the book in an email. We must've been reading each other's blogs at the exact same moment, cuz I just commented on yours. Serendipity. Or is it the Bermuda Triangle? Someday I will get to one of those conferences. Just like someday I will write something worthy of publication (or at least worthy of my mother reading it). Are you going to WIFYR this year? A mix between Rafa and Bjorn or just between Rafa and Bjorn? I think that was a Freudian slip! Rachel- That class sounds great! My friend Joel Smith (from my workshop last summer) is taking Mull's class, so make sure you two meet. I hear they have an extra seat just for Brandon Mull's chin dimple. Unfortunately, I'm not going. My entire family does a trip once a year, and it happens to fall on the same week. I can't believe the luck. So don't talk about how much fun it's going to be, because I'm having jealousy issues. Cam- Ha ha ha! I was wondering who would pick up on that. I should've known it would be you! I originally had it worded even more explicitly, but Sam said I had to change it. You did look cute in your headband. I inwardly thought something like, Why can everyone else pull off cute looks like that, and not me? Sigh. Did the dropped pie land on the floor before being scooped back into the dish, or did it drop and remain in the pan? Thus remaining edible to those of us with germ issues, that is if we ate sugar. My fault Leisha asked about the bodily fluids, but seriously, when is the next blood spot post? I think you should have gone for the first headband look, although it may also have required a wonder woman style costume. Leisha- I always think that. Especially about my one friend Raina. She can pull off any look, and she never looks like she's trying. Cherie- I will dedicate my next blood spot post to you. I promise. 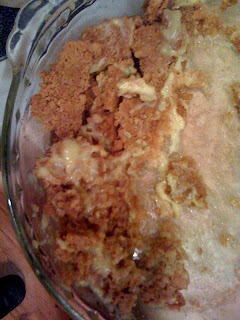 And only part of the pie fell out, so the stuff left in the dish absolutely did not touch the ground! Even I would draw the line at that. You look frakkin' adorable with your headband. I can't wait to wear my headband to work tomorrow. I know that I can pull it off. ... and now I'm jealous that you know Shannon Hale. I am, however, horribly gratified to learn that you can't attend WIFYR, either. :) Yes, I'm a horrible person. I've been thinking of getting a headband, but they must still be too fashionable, because every time I see them in the store, I can't imagine what I'd wear them to. Perhaps it's because I keep flashing back to elementary school, when we'd use our thin plastic headbands as pseudo-sunglasses during recess. Man, were were cool. How can I possibly top that? This weekend, despite working until 10 pm on Friday night (writing boring legal stuff) and returning on Saturday night (to visit clients in the jail)... I wrote over 2000 words just on Saturday. That's a good day, for me. My word verification is "hydenist"--and I have to ask: doesn't that sound like some wierd kind of doctor? Hilarious recap of Saturday night! I was going to blog about it, but I think I'll just link to this post instead and make a correction about the eustacian tubes conversation. If I remember right, you guys were fleeing in fear that I'd start talking about the feathered mice again. I can't say I blame you. 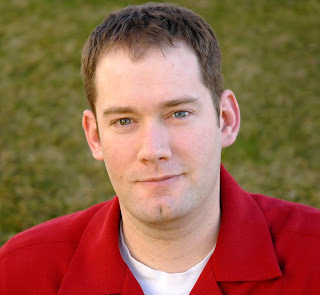 I'll also be attending Brandon Mull's class at WIFYR. And maybe changing my name to Brandon, since it seems to be a successful name for local authors. Sam- you could totally pull off a headband. especially if it was spandex. Robin- 2,000 words? That rocks. as for WIFYR, you and I can commiserate while all our friends are learning the craft. Jenilyn- Great Idea. from now on, I'm Brandon Ashton Sanderson Mull. I like the knit head band on you! I think you are being too hard on yourself...you actually look more like Richard Simmons with the curly hair and all :) So just embrace it...make it YOUR look. Sounds like you had a great weekend with the writer people. We just hung out at home, getting each other sicker with our pass-around colds...fun. I think you managed the headband just fine. Way to rock the style, Brodi. And at least your tweets are funny! Mine are...well, they're not. I totally want to hear the answer to the bodice ripper. You've got me laughing again Brodi. I think you look cute in the headband. So jealous you go to hang with Shannon Hale. Erin- Wow. Richard Simmons, huh? Gee, thanks. Actually, I love his hair. Mary- It was great fun, although I doubt she's posting on her blog about how she got to hang out with me, or anything. I still have no comment about the bodice ripper thing. Hubby can come on here and try to defend himself if he wants. Except, I don't think he'll try to deny it . . . just saying. What? I'm not sure I get what the issue is? I have an extraordinary talent for writing sensual and extremely inappropriate prose. I thought this was an obvious and known fact about me. But I see right through you, Brodi. This was no more than an elaborate scheme to get me to de-lurk. . .Well played, my friend. Well played. Someday when you see Veronica St. Heart on the New York Times list, you'll know who'll be swimming in his Scrooge McDuck tower of money! Bree- way to support your man. Brick- You're freakin' hilarious! You need to comment more often. I can't wait to read about the adventures of Veronica St. Heart; she sounds like a woman of ample worth. So fun to see you and your headband on Saturday! Bring it next time too. 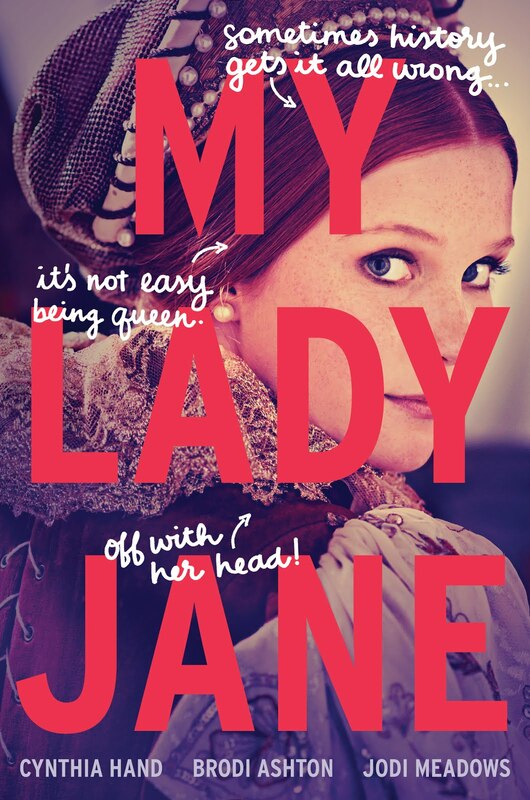 And, your head-scarf was awesome. How did I miss this post on Monday? Oops. But I love the recap. Thanks again for coming and for looking so awesome in your headband that I thought, "Wow. I need to get myself one of those!" Now I see how especially awesome one would be for days when I don't want to do my hair. FYI, I am not a lurker... yet. Mwa-ha-ha-ha! I mean, I just found this blog, by way of Jeni, and have to concur with Joel that you are just plain hilarious! So, I totally thought your headband was just about the cutest thing ever. The only problem I've seen with them is that I keep seeing high school & BYU students wearing them Bjorn-style, and I'm not so in love with that. Kids these days! BUT I wasn't sure if an adult could pull it off until I saw it on you -- you were so, so cute! Kim- Good to see you too! Heather- Of course! It was very good to catch up with you at the shindig. Nikki- I'm always on the lookout for devices that would make it possible for me not to do my hair. smileynann- Thanks for finding the blog! I agree- I have yet to see someone wear it successfully Bjorn Borg style, in person. Then again, I haven't been hanging out on the BYU campus lately.